Forget about having the best apps, deals, or even products, good customer service is the still the main way for banks to maintain loyal relationships with their customers. In the internet world that we live in today, consumers are benefiting from having vast amounts of information at our fingertips. For consumer-facing businesses such as retail banks, the internet has drastically transformed the way relationships are built and managed between a bank and its customers. With all the available information online and the ability to perform an increasing number of banking functions digitally these days, many people no longer visit bank branches anymore. A study conducted by McKinsey & Company estimated the digital banking penetration rate in Singapore to be 94%. While the proliferation of digital banking has improved efficiency and convenience for customers, it has also eliminated some of the traditional face-to-face and human interaction opportunities banks previously had with their customers. In the same study, it was reported that loyalty to banks among customers in Singapore is declining. Only 30% of Singaporeans responded that they would recommend the financial institution they use to a friend or a colleague. Further, in the competitive landscape they operate in, banks find they need to pay a lot to find new customers. So, what can banks do to drive customer acquisition and loyalty? Clearly, Digital Banking in itself is not sufficient. The most powerful form of marketing is word of mouth, also known as personal referral. Business owners are able to earn new businesses referred to them by existing customers as long as they are able to leave a good impression. We are swayed by the positive reviews our friends tell us about the quality service they experienced from a particular bank. This is particularly true for more complex life stage products that require personalised advice such as insurance and investment. While it’s easy to go online to compare and select simple products such as savings deposits and credit cards, it’s far trickier once we start delving in more complex banking solutions such as financial planning and wealth management. So we still need face time with banks. For these areas, banks need to take the time to understand their customer’s needs and circumstances first, before they are able to provide customised solutions. In such instances, high quality service becomes very important for customers. We all want someone who will listen to us, who understands us, and most importantly, whom we can talk to and trust to solve our needs. Here is a video to better understand the approach that one bank takes when it comes to understanding and building lasting relationships with their customers. While we think it could be one or two products that may initially appeal, what would curry long-term loyalty from customers will be the service standards that they receive from the bank. Digital banking has no doubt, allowed consumers to bypass human interaction. But there are still many occasions when it is necessary to meet and talk to someone from a bank. During these occasions, all of us want to have a positive experience. Nobody wants to wait a long time in line to speak to a staff, and yet not receive the help that we were seeking. Neither do we want to speak to someone who is only interested to sell us a product to earn a fat commission, rather than to address the questions that we have. During these occasions, we want to have very good customer service. 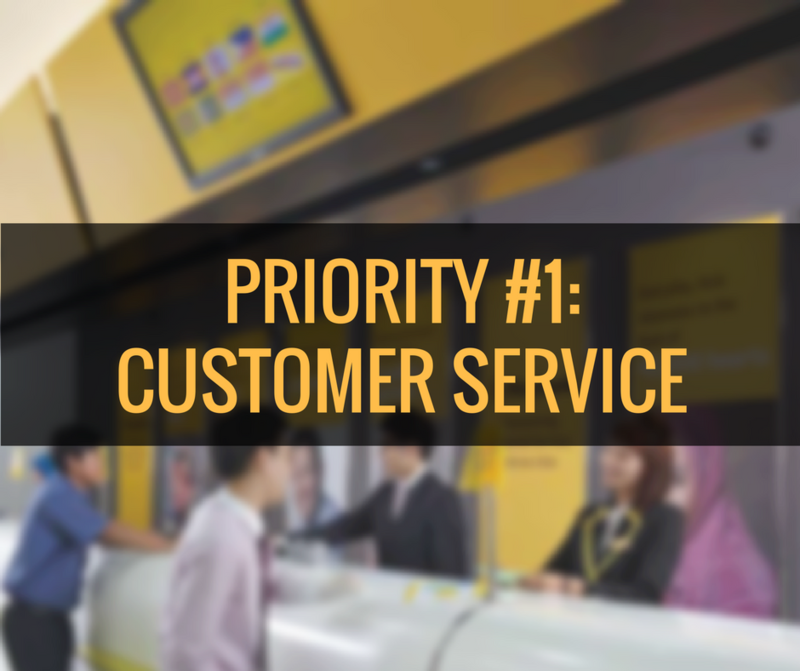 In the annual Customer Satisfaction Index of Singapore conducted by SMU’s ISES (Institute of Service Excellence) the bank that came out top of the list in 2015 is Maybank Singapore, a well-known regional bank that has been in Singapore since 1960, and which now has 22 branches / 200+ ATMs across Singapore offering a wide range of banking products for both individuals and SMEs. A bank that does all that, in our opinion, is a bank that would be truly differentiated, and be attractive for us, in our increasingly digital world.